Four of its top executives are now leaving the company as the company tries to reverse its fortunes. 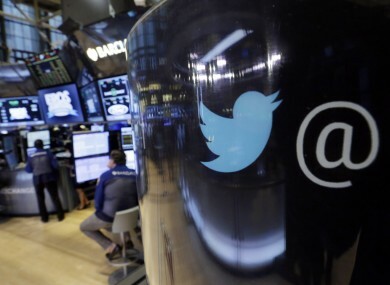 TWITTER ANNOUNCED ANOTHER major shakeup in an attempt to stop losses and get more people using the service. Four of the company’s top executives have left the company as part of a major restructure organised by its CEO Jack Dorsey. Dorsey announced the changes in a tweet, saying he wanted to “set the record straight now”. Those leaving are engineering head Alex Roetter, human resources head Skip Schipper, media head Katie Stanton, and product head Kevin Weil. Dorsey said that all of the departures were voluntary. A fifth member, Vine’s head Jason Toff, is also leaving the company and returning to Google where he will work on developing its VR products. As part of the change, the sections left vacant will now be managed by the company’s COO (Chief Operating Officer) Adam Bain and CTO (Chief Technical Officer) Adam Messinger. As part of the change, The New York Times says it plans to appoint new board members and a “high-profile media personality” as one of its new directors. It’s the latest change as Dorsey continues a company-wide overhaul which started late last year. Back in October, it announced that 8% or 336 employees from its global staff would be laid off. Email “Twitter really isn't messing around with its restructuring plans”. Feedback on “Twitter really isn't messing around with its restructuring plans”.